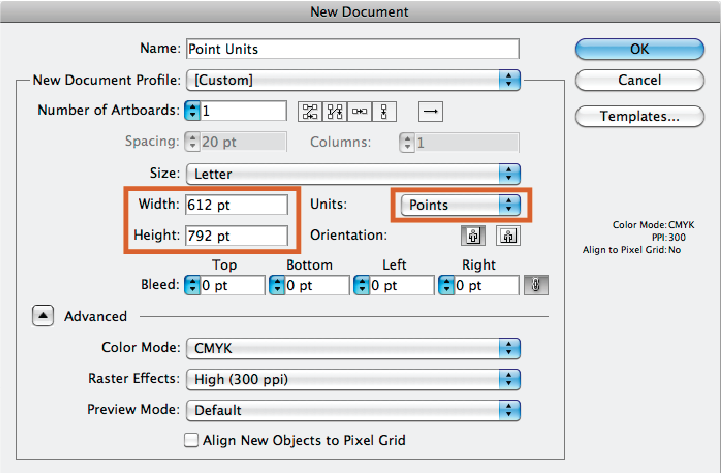 There are several options when it comes to selecting a unit of measure to use for a digital document. Selections include inches, centimeters, and millimeters, which are fairly straightforward and familiar. However, some units of measure are less familiar. Other options include “points” and “picas”. 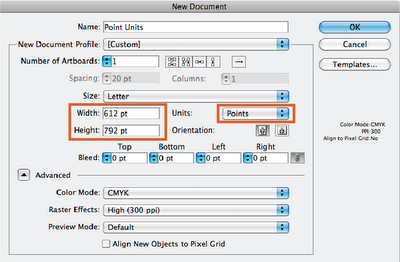 These units are mainly familiar to typographers, graphic designers, printers, and digital publishers. 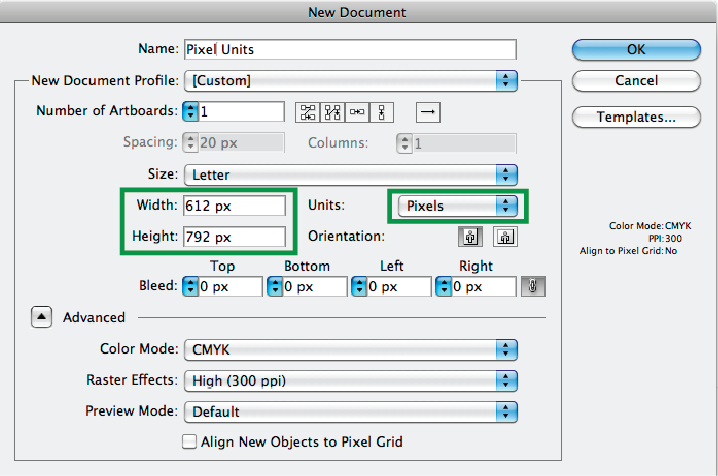 The "pixel" is another option offered and is essential for raster-based sizing and operations. Point systems were developed by typographers and adapted and reinterpreted by type foundry companies. Although the point was invented prior to Fournier, the French typographer Fournier is generally credited with creating a functional point system in the mid 18th century. Another typographer, Didot, adapted Fournier’s system to the existing French Royal inch unit of measure, also in the 18th century. It wasn’t until the late 19th century that the American point system was proposed. It was based on the American inch. In the early 1980’s when the computer publishing revolution began, and due to the already established, universal use of the point as a unit of typographic measure, it was adapted as the main unit of measure for the Postscript language for digital typography and production. The pica was retained as a unit of measure for page layout. Since there have been several definitions and varying measures that were classified as points, the information provided below will mainly focus on the “Postscript” point system. The Postscript, or computer point system, is a streamlined version of prior point systems and is easier to work with in the digital environment. Highlighted area shows the number of points in an 8.5"x11" document. Pixel stands for "picture element". distinct, in the same way that a square foot differs from a linear foot. Highlighted area shows the number of pixels in an 8.5"x11" document. A “pica” is a unit for measuring aspects of page layout, text width, spaces, etc. Highlighted area shows the number of picas in an 8.5"x11" document. These units of measure work very practically and efficiently in a digital environment because they allow document size, layout considerations, and typographic information to be determined using whole numbers as opposed by the inch system which relies on the use of fractions or decimals.